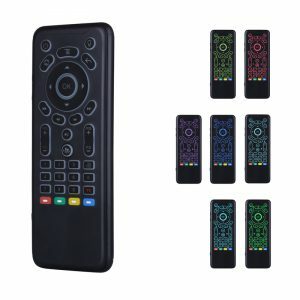 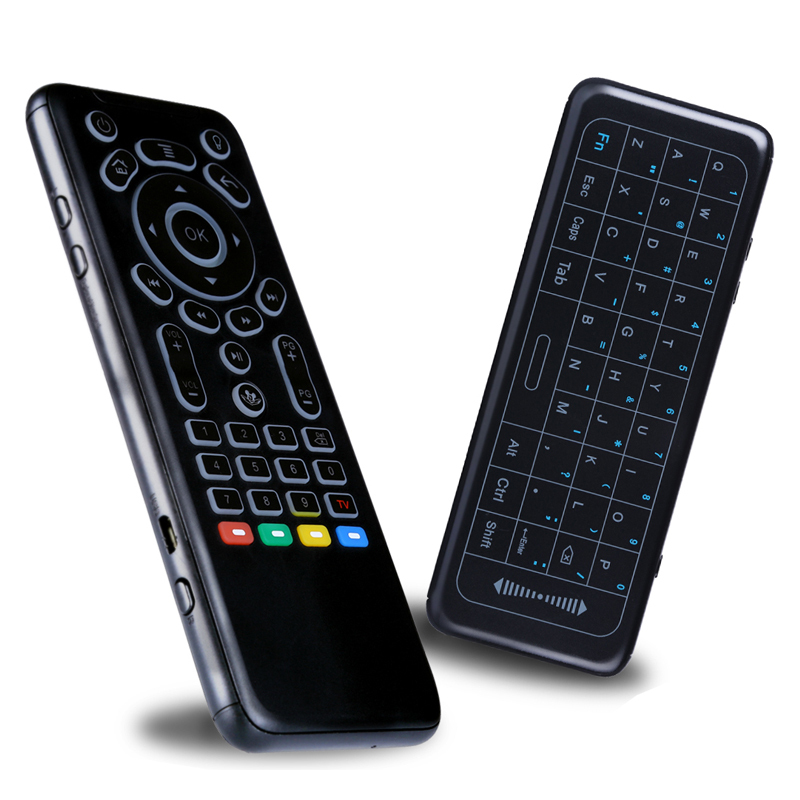 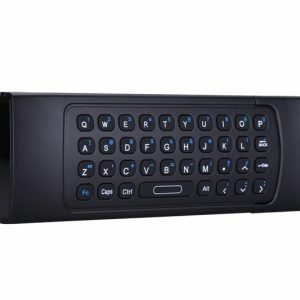 As a combination of QWERTY keyboard, IR learning buttons, fly mouse and media keyboard, this mini wireless multifunction keyboard is universal to peform somatosensory Game, input letter smooth, and control multiple devices simultaneously without leaving your couch or juggling multiple remotes. 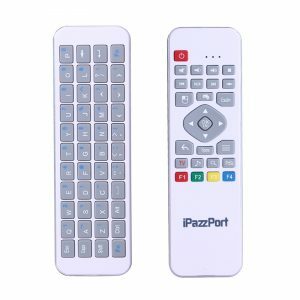 This is an powerful all-in-one air mouse keyboard remote characterized as a combination of QWERTY keyboard, fly mouse, IR remote, User-defined keys. 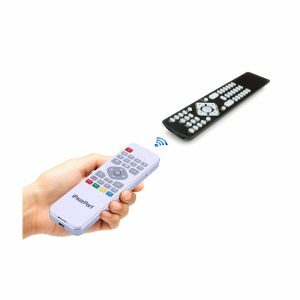 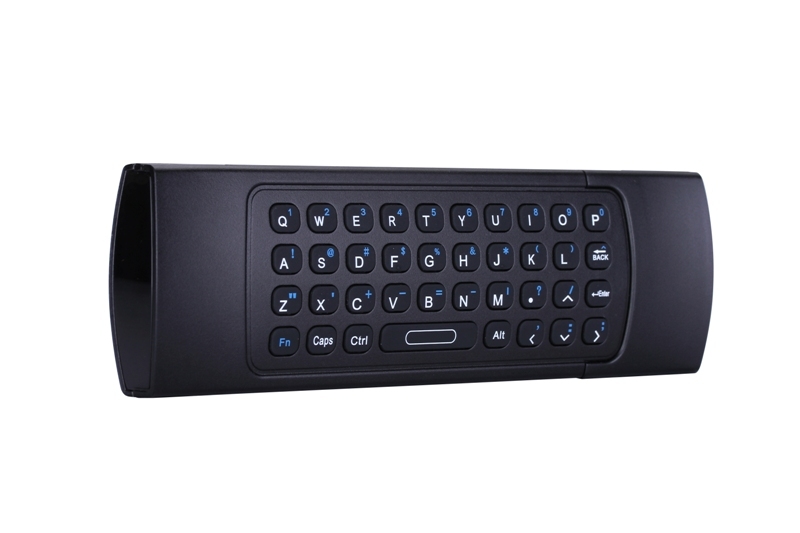 It is used as an universal multimedia keyboard for Android Smart TV, IPTV, Networked set-top Box, Mini PC, Android TV Box, HTPC and so on. 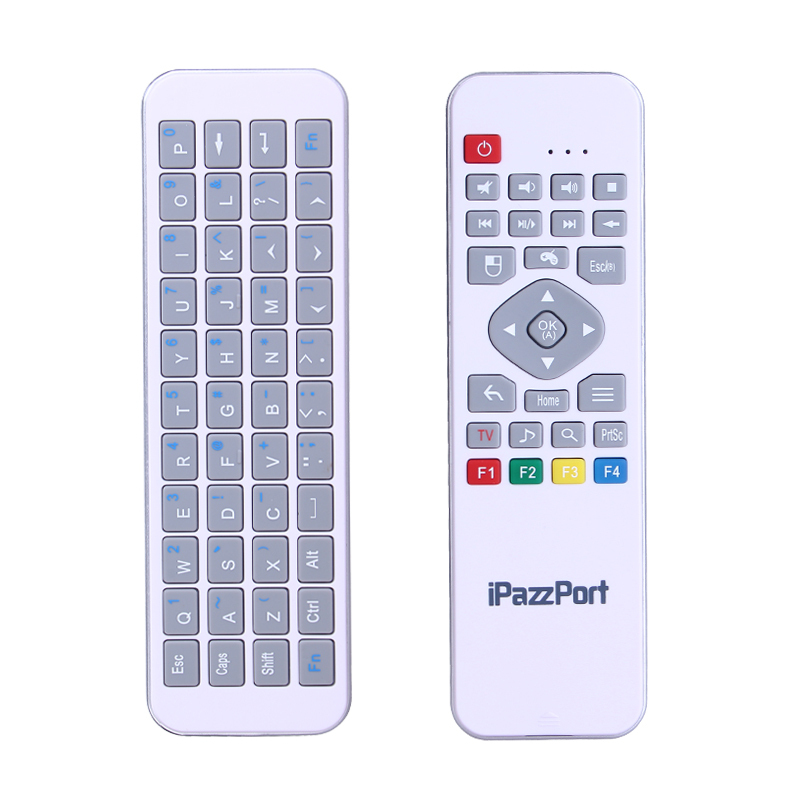 This is a multi-function and multimedia fly mouse keyboard that combines home entertainments and indoor physical exercising especially in Somatosensory game. 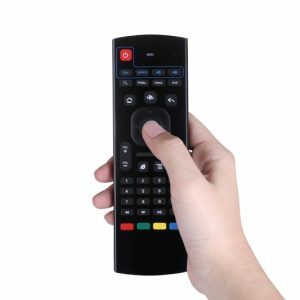 The extra-large touchpad is for accurate cursor moving, and the QWERTY is for smooth data input, and above all, the IR learning buttons is to help you out of the hassle of juggling multiple remotes.